The apartment is located in a historic building on the Chicago River. The building is an early example of large-scale reinforced concrete construction. 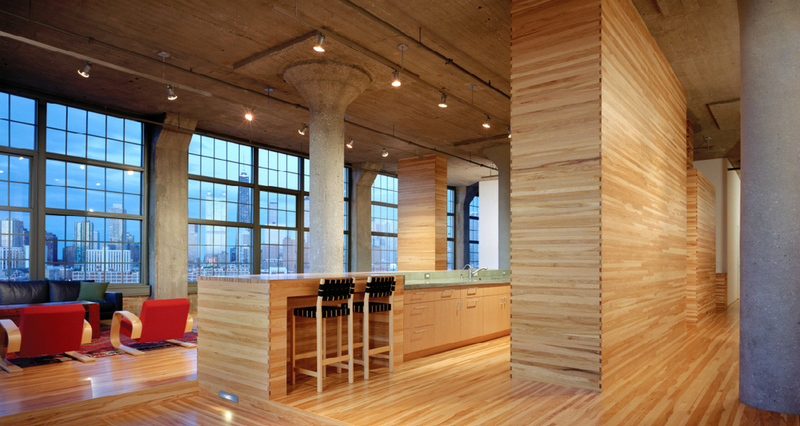 Bell-capped columns and large steel windows visually dominate the tall interior spaces. 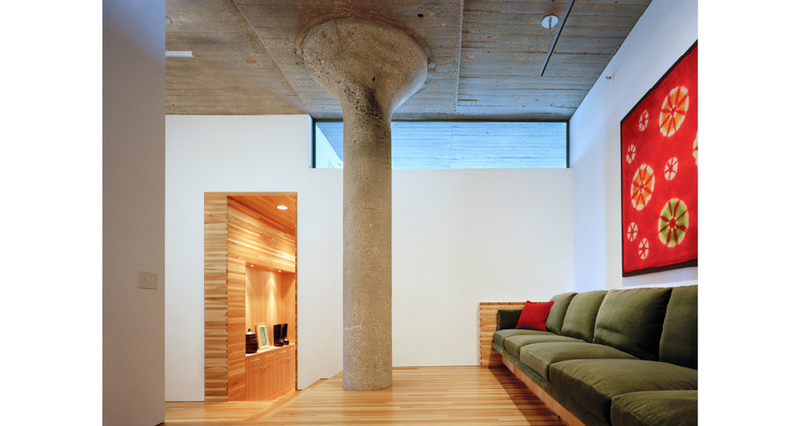 The major gathering spaces of the new apartment include the living room, dining area, and kitchen, which are combined to provide a spacious central space modulated by the existing bell-cap columns. 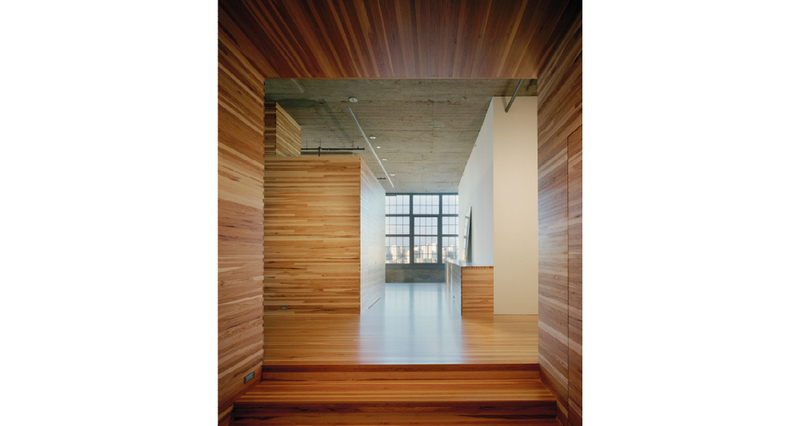 the interior floor of the main living spaces were raised to conceal all of the HVAC duct-work and plumbing systems, while bringing the window sills closer to the floor plan and further amplify the panoramic view of the Chicago skyline.